Yesterday I posted in frustration as to how the Democrats managed to allow the Republicans to both sabotage an effort to repeal the Sustainable Growth Formula and use the Affordable Care Act once again as a political pawn. I found that Greg Sargent had interviewed Paul Begala, who had said something similar to my conclusion about Democrats fighting for the Affordable Care Act and added that to the post. In retrospect this message is far too important to leave at the end of the post, and it is well worth repeating (with additional information and commentary). As I concluded yesterday, despite all of the benefits of the Affordable Care Act, Democrats remain on the defensive politically. The Affordable Care Act is turning into a major success, providing millions with health insurance coverage and ending the ability of insurance companies to abuse the system by finding ways to sell policies and then avoid paying out. No longer are people denied coverage, or have their coverage taken away, due to becoming sick or losing their jobs. In addition, Obamacare frees people from the “insurance trap” which forced people who otherwise do not need to work to continue working for insurance coverage, along with other overall benefits to the economy. The Congressional Budget Office Report, frequently distorted by Republicans, showed that the Affordable Care Act will reduce unemployment, help decrease the deficit, and allow more people to leave large corporations to start small businesses, further stimulating the economy. While granted the Republicans have a strong propaganda machine delivering their misinformation, and a media willing to repeat Republican lies as if they are equally valid as statements of fact, Democrats should be able to do a better job of gaining support when the facts are so firmly on their side. 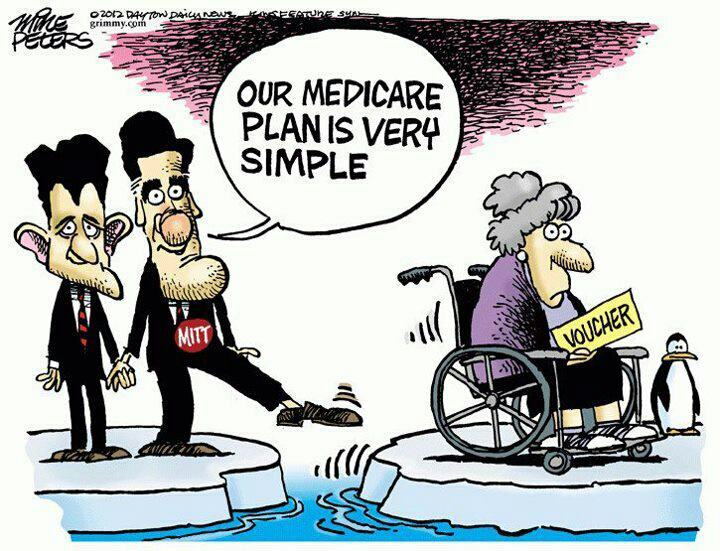 The same is true of health care issues in general, as Republicans have managed to put Democrats on the defensive over bogus claims of Medicare cuts while the Republicans seek to turn Medicare into a voucher system which would destroy the program as we know it. Democrats need to follow the advice of Paul Begala: Stop being so damn defensive about the law and show people it’s worth fighting for, already. Begala thinks Dems can address it with a simple flipping of the script. Dems now debating how to talk about Obamacare seem to be leading defensively with their willingness to fix the law. Instead, Begala says, they should lead with an attack on Republicans that is framed as a medical rights issue – before pivoting to fixing the law — and then wrap it all up in a larger message about how Republicans have no answers to people’s health care or economic problems. Elections have increasingly become about getting one’s base out to vote as opposed to converting others. Many on the far right are angry about Obamacare based upon misinformation they have heard, and this will get them out to vote. Democrats need to mobilize their voters by better informing them of what they stand to lose if the Republicans win. If Republicans can run ads with horror stories which aren’t even true, why aren’t Democrats running ads with actual horror stories of people losing their coverage and going into bankruptcy under the old system? Most people going into bankruptcy from medical expenses were insured at the time they first got sick or injured. Is this the system we want to return to? Sure the new web site began with serious glitches, but buying insurance on the individual market was never a picnic. Policies were expensive, frequently had high deductibles, and often required seeing a limited panel of doctors. These complaints about insurance are nothing new. What has changed is that previously having a pre-existing medical condition might lead to a policy not being sold, or greatly increase the cost. Policies would have limitations, frequently failing to pay enough to cover serious illnesses such as caps on total coverage. Some policies would only cover inpatient or outpatient services, fail to cover prescriptions, or not cover preventative services. Democrats need to remind people of the benefits they are receiving under Obamacare, and what they risk by Republican calls for repeal. Use the over fifty votes by Republicans to repeal or hinder Obamacare to both mock them and make voters angry about the Republicans wish to do. Ideally this will both motivate more Democratic voters to turn out to vote this November and maybe even change the minds of some voters.